City Map of Bangalore, Karnataka. This Bangalore Map has tried to depict all the important places in Bangalore City Map, but in case this Map of Bangalore India is lacking in any way please write to us and send us a on this Map of Bangalore. 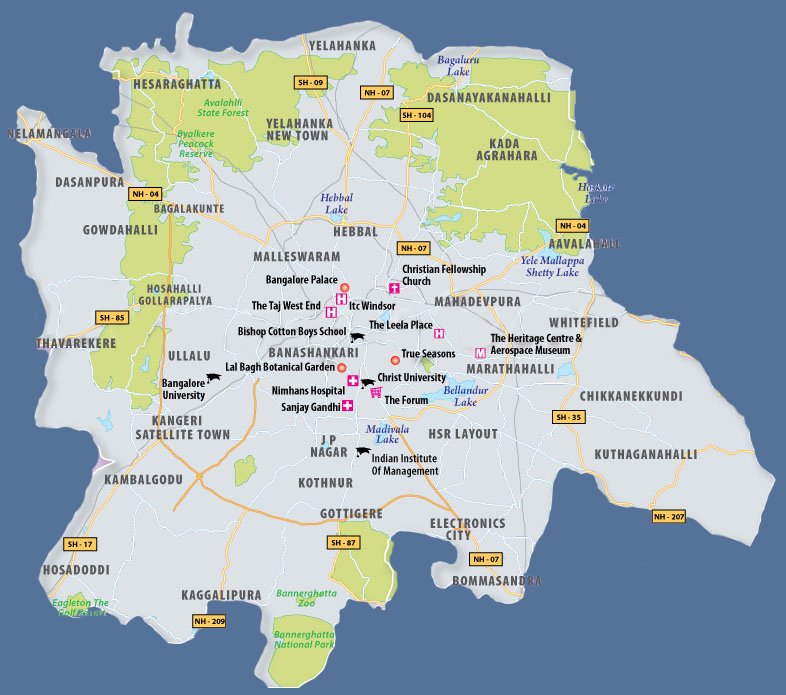 Detailed Bangalore Map | For other Maps of India click here.